Nintendo's new PlayStation 4 must be the result of a mysterious business deal none of us knew about. A particularly fascinating fact-checking error in the LA Times today led to this snafu. Peter Moore, head of Electronic Arts, tweeted about the big scoop from the LA Times Business section. 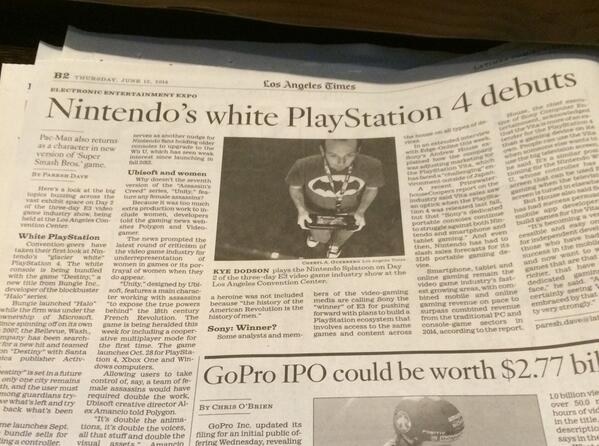 Since then, the LA Times has noted that, apparently, Sony makes the PlayStation console.